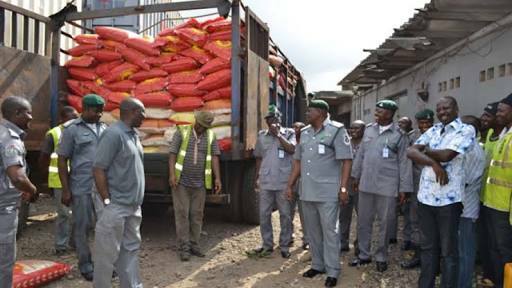 The Nigerian Customs Service (NCS) on Monday in Benin destroyed imported frozen poultry products seized along Benin/Ore axis with duty paid value of N7.2 million. 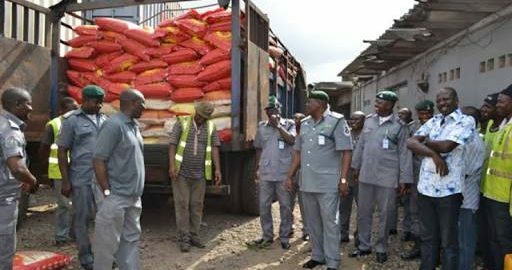 The Officer-in-charge of the axis, Chief Superintendent of Customs, Usman A.R., told newsmen that the products were seized on Nov. 30 by the Federal Operations Unit (FOU), Zone ‘C’. Usman, who was represented by Superintendent of Customs Patrick Onyemem, said the seizure and destruction of the products was in compliance with the Federal Government’s policy on imported frozen poultry products. He said that the poultry products totaling 480 cartons were being smuggled and conveyed into Benin in two vehicles – a Toyota Camry with Registration Number AAA692ES and Chassis Number JT153SV1000165458. Usman said that the other vehicle was a Volkswagen Passat with Registration Number BDG792AU. The destruction of the products was witnessed by officials of some government agencies including the Police, Nigeria Security and Civil Defence Corps and the National Agency for Food and Drug Administration and Control (NAFDAC).